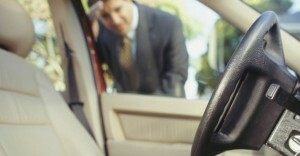 If you are locked out of your car, then we are able to help you with a variety of services. We are able to assist you roadside, meaning you don’t need to waste time and money getting your vehicle towed to a garage. If you have lost your car keys, we can cut you a new set so you can gain access to your vehicle again, with no damage done to the vehicle. We can also cut you a set of spare car keys and reprogram them for you. We are based in West Lancashire and cover for the surrounding regions including Merseyside, Sefton, Greater Manchester and Lancashire. Ford, Renault, Vauxhall, Citroen, Peugeot, Land Rover, Jaguar, Nissan, Hyundai, Mazda, Kia, MG, Rover, Saab, Suzuki, Jeep, Honda, Fiat, Seat, Skoda, Volkswagen, Audi.